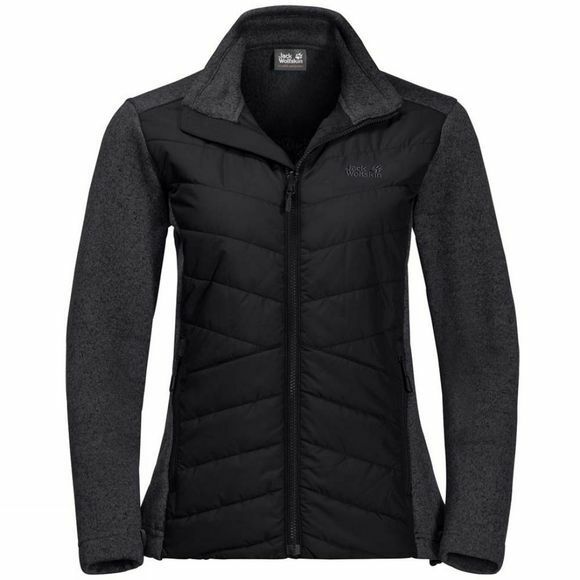 The Womens Caribou Crossing Fleece from Jack Wolfskin has added Wind protection and is great for High-output activities. The Jacket is equipped with a Short System Zip, so it can be used as a warm mid layer under your hardShell.It is made of very warm, robust and breathable Nanuk Knitted Fleece. The front of the Jacket is Insulated with warm Microguard Ecosphere, packed Inside a Windproof Shell. This is an ideal Jacket for active Outdoor use In the transitional seasons.And if it starts to rain or gets colder, simply zip it Into a compatible hardShell usIng the system zip.